We’ve made it clear before just how much we love Modiphius. They just consistently put out quality and, given the sheer range of great games they offer, it’s hard to believe that the company is only six years old. Anyway, that’s enough gushing for now. 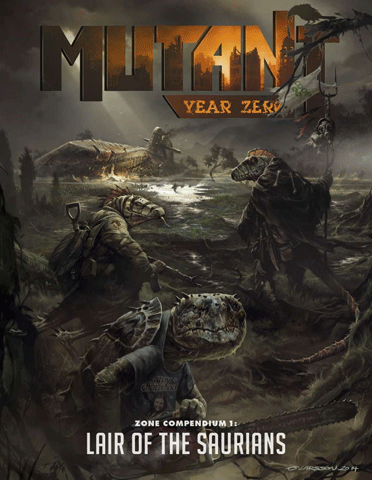 There’s a bundle up just now on Bundle of Holding for Modiphius’ Mutant: Year Zero RPG. 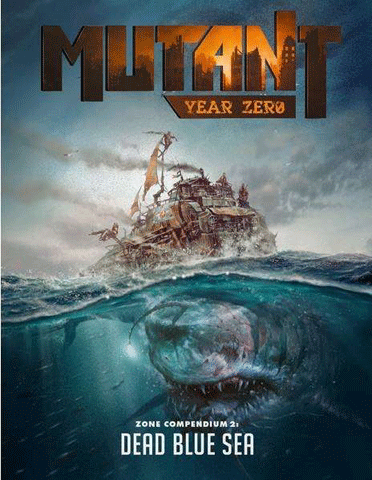 This is not a game I’m familiar with, but I’m willing to give it a chance based on Modiphius’ past performance. 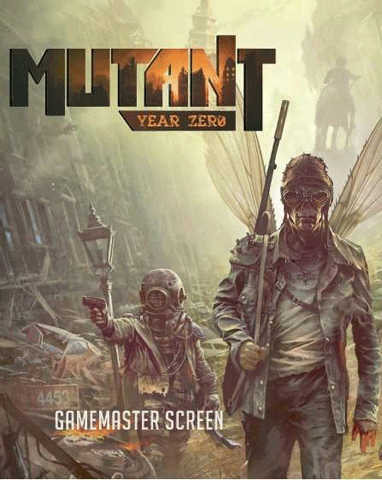 Mutant: Year Zero takes you to the world after the great Apocalypse. Humanity’s proud civilization has fallen. The cities are dead wastelands, where winds sweep along empty streets turned into graveyards. But life remains. Among the ruins, the People live. You are the heirs of humanity – but not quite human any more. Your bodies and minds are superhuman. You are mutants. Since its first release in 1984, the Mutant RPG franchise has earned three decades of rich history in Sweden. This is the game that later developed into Mutant Chronicles. 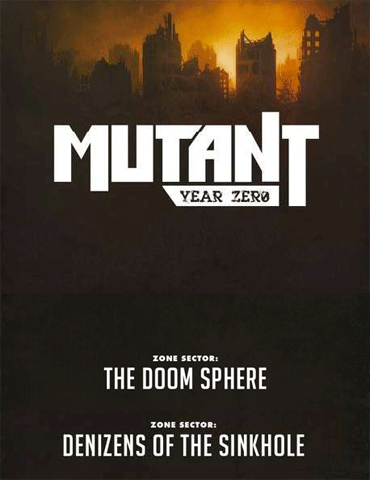 Now the original, post-apocalyptic shade of Mutant: Year Zero is released to an international audience. This full-color 269-page English-language rulebook lets you create a unique mutant character – skills, talents, mutations, gear, and relationships – in mere minutes. Push your character’s skills to their limits, releasing amazing mutant powers in the process. Fight fast and furious battles, making every bullet count and using a detailed list of gruesome critical injuries. 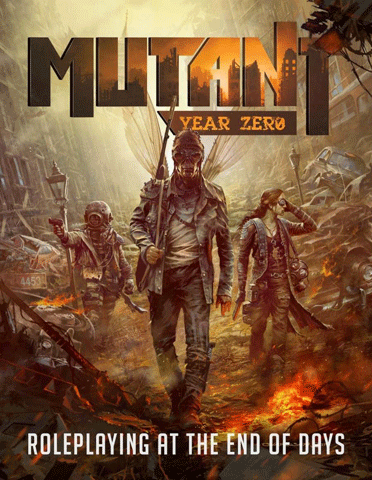 Mutant: Year Zero has two major game environments, each with its own style of play. The Ark, your home in the dawnworld, is a nest of intrigue and Lord of the Flies-style power struggle — far from a safe haven, but just maybe the cradle of a new civilization. The Zone, wastelands outside the Ark. You’ll also venture into the Zone, the wastelands outside the Ark, in search of food, artifacts, other mutants, and knowledge – not least about The People’s own origin. Set your game in one of the Zones provided — London (The Big Smoke) and New York City (The Dead Apple) — or create your own Zone based on your home town. Develop the Ark, your settlement in the Zone, by undertaking Projects to build a new society. Explore the Zone using the grid map and the unique sector generation system that places mutants, monsters, and phenomena. Experience the five Special Zone Sectors, and search for the mysterious Eden bunker in the Path to Eden campaign frame, which includes an epic finale. The first tier of the bundle will set you back £8.95 and will get you three – technically four – items. The main thing you get is the core rulebook. You also get the GM Screen, but I’m always a bit cynical about the inclusion of these items in bundles. I get that they have useful tables and whatnot, but I’m not going to make up a screen and it doesn’t feel like there is a lot of value in them, PDF-wise. There are also two mini-supplements that give a couple of settings for your games. These are 7 and 10-page supplements, so although they give more content, the core book is really the bulk of this tier. Now that you have the core book, let’s take a look at the second tier of this bundle. Again there are three titles – although, again, technically four – and the tier is priced on a threshold that is currently sitting at $16.51. Both Dead Blue Sea and Lair of the Saurians give new zones to play in, with new mutations and other content. Genlab Alpha is a bit different, being a standalone expansion core book with rules for mutated animals, putting quite a different spin onto the game. The first tier gives you a big saving on the PDF of the core book and also includes some other content. Obviously, this tier is essential. The second tier is an odd one. There are more zones, and I’m particularly interested in the Dead Blue Sea. It seems like it would make for a fun campaign. 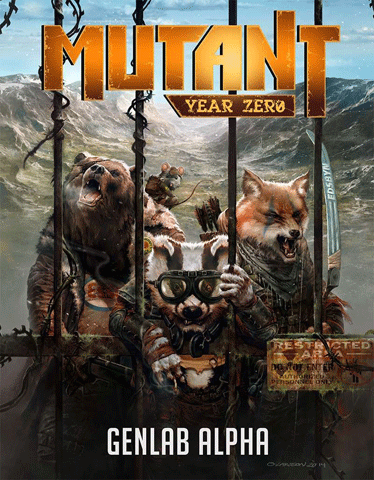 The Genlab Alpha book is a supplement but is also a game in itself and I imagine it has quite a different feel to the core game, though there’s no reason you couldn’t mix and match, including a mutant animal as part of your core game party. Unless this interests you, I can see why you might give the second tier a miss. The price is very reasonable for the lot, though. Given that this is a relatively small bundle, I was worried that the price was going to be a bit high for what you get, but it’s alright, actually. Very reasonable. As usual with Bundle of holding, a portion of the proceeds goes to charity. In this case, money will be donated to Vision Rescue, which is working to end child slavery in India. If you’re interested in learning more or picking up the bundle, you can click here to view it over at Bundle of Holding.